As per latest reports coming in from Forbes, speculations are rife that Microsoft is all set to debut in wearable technology as their iOS compatible smartwatch is about to be launched. As per the Forbes investigation, Microsoft has almost finished testing of this smartwatch which will measure heart rate of the user and will synchronize with iOS, Android as well as Windows phones. Insiders have revealed that their new offering in wearable tech would be heavily inspired by the “Optical Engineering” expertise of Microsoft’s Xbox Kinect Division, which can “continuously” measure the heart rate of the wearer, 24 hours and the battery will last minimum 2 days. It seems that they have closely examined the features of Samsung Gear Fit, which is the dominant product in this category. However, in Gear Fit, the user needs to activate the heart rate monitor, whereas Microsoft has ensured that their yet unnamed smartwatch will automatically monitor the heart rate. Its appearances have been rumored to be somewhat similar to Gear Fit with the fancy “full color touchscreen” embedded at the inside of the wrist watch. They have deliberately placed the touch screen hidden from the view of any other person besides the wearer so that privacy is maintained. Microsoft CEO Satya Nadella has already announced that in future, all Microsoft software and services needs to be build on platform-independent structure so that they are accessible in all devices. It seems that this new wearable tech products would be a step in that direction only. Why Microsoft Is Entering Wearable Tech Market? While traditional Microsoft loyalists are raising their eyebrows as such “all device accessible” gadget will harm Microsoft’s own eco-system, but business wise, it does makes sense. Windows OS hasn’t been much success with only 3.5% market share in the global smartphone market, compared to 80% of Android and 14.8% of iOS. By launching such platform independent gadget, Microsoft will certainly make some in-roads into this huge market; and maybe lure Android and iOS customers at a later stage. Last year, Microsoft received half of it’s overall revenues of $77.8 billion from their bread-and-butter products: Windows OS and Office suite, and it is high time that they diversify into other product categories. 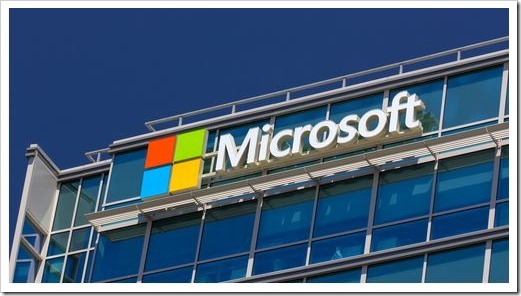 Although this new launch will make a small dent in the overall revenue structure of Microsoft, tech observers are repeatedly saying that this is the right time to enter the market as its getting warmed up. Apple is very soon going to launch their first iWatch later in the year, and Samsung is all set to launch an advanced version of smartwatch which can independently make calls as well. Considering the equations of the wearable tech market, it seems this is the right step in the right direction by Microsoft. Although they have not commented officially on this story, it is expected that the product would be launched sometime later in the year.